A quick but tasty meal. This version has curry powder, which accounts for the yellow color of the coconut milk. This recipe redefines the meaning of the word “quick” even in culinary terms. It is so simple to do even anyone who has not cooked before can do it. The most important thing about this dish, of course, is not only its simplicity and the quickness of its preparation. 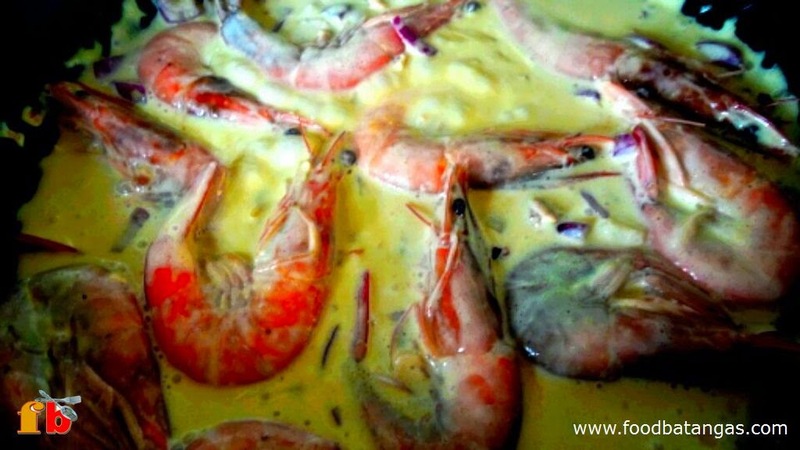 This is a healthy and tasty dish that is so typically Filipino. Saute garlic in a small pan until golden brown. Add onions and stir for a minute or two. Add chili and stir for a minute or two. Add coconut milk and curry powder if desired. Bring to a boil. 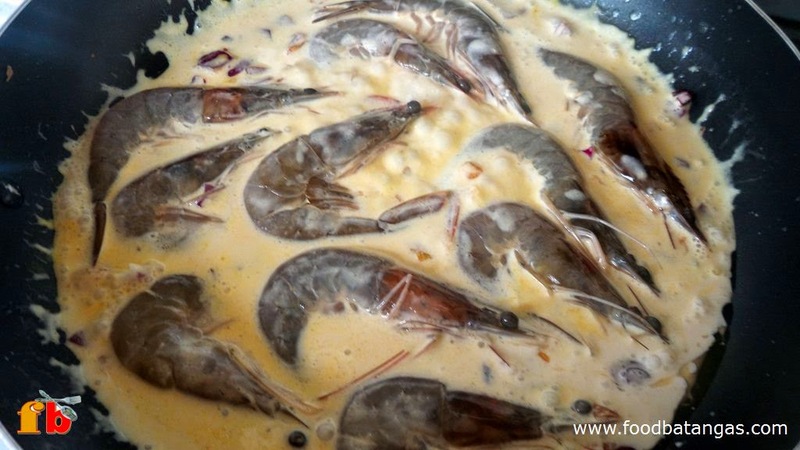 Add shrimps, wait for the milk to boil and simmer for a minute or two while stirring occasionally.